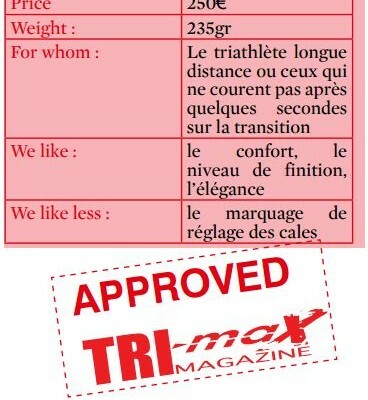 Philippe Gilbert, Geraint Thomas but also the French Jeremy Roy or Steve Chainel have one thing in common : all of them ride with Fizik R3B Uomo. Hand-made in Italy, these shoes are part of a range of 4 models in 2016, above the R5B and R4B and below the premium model R1B. 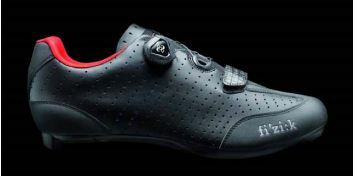 With its B, the designation R3B means that Fizik appealed to Boa and its system of revolutionary closure IP1 to manage the closure and adjustment of the shoe. 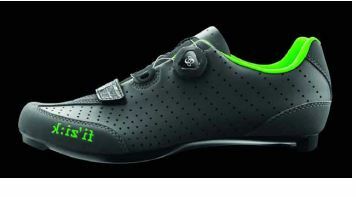 This choice allows to have a precise and efficient tightening while lowering the final weight of the shoe, given at 235gr by the manufacturer. 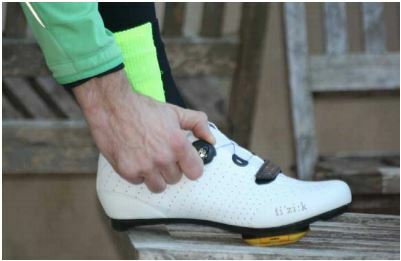 The bootie is made in Microtex, well-known by the regulars of Fizik because we find this material on saddles and handlebar tapes of the brand. Laser perforations go through the inner and outer sides of the shoe, which implies a good ventilation of the foot. Only the front of the shoe and the heel zone don’t have that and are a little bit thicker. 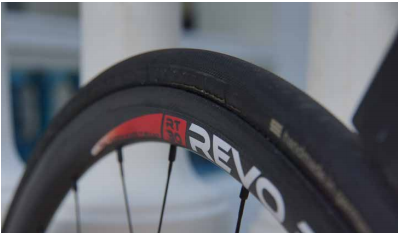 The sole which will be responsible for transmitting each of your watts in your pedals is in unidirectional carbon fiber ensuring a minimum loss power. The rubber heel, which protects your shoe when you walk, is replaceable and the three-holes drilling will allow you to use the R3B with most of the standards of holds. Some light markings will help you to adjust these holds and to ensure the symmetry from one shoe to another. This is what we can say about this very nice shoe offered by the Italian brand, let’s know talk about the donning… And we are looking forwards to it! First and foremost, let’s see the installation of the holds. In our case, we have Speedplay which needs an adaptation plate to go from the 3 hole-drilling of the sole to the 4 holes standard of the American brand. Thus nothing fatal. 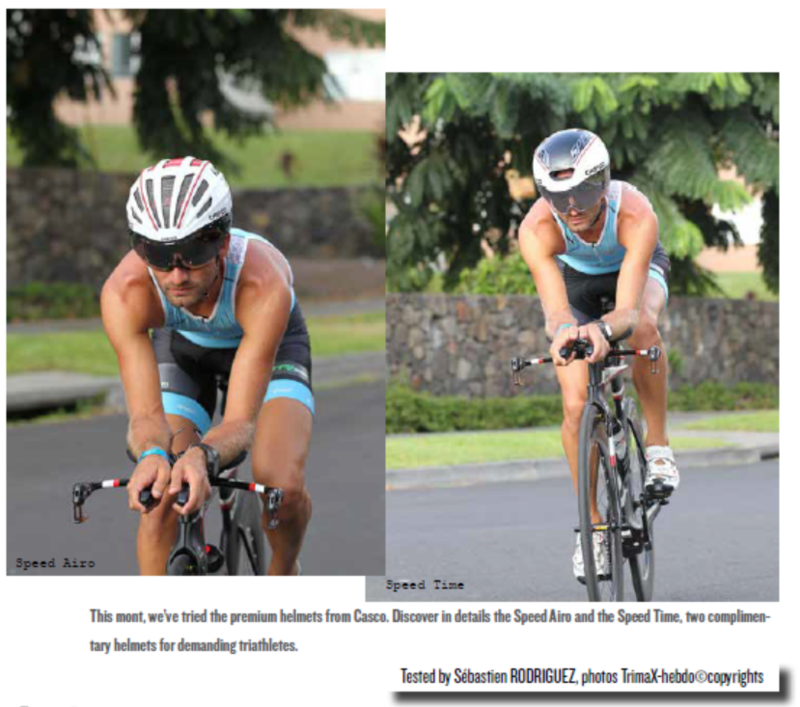 You won’t have any problem with Look, Times,… pedals. The markings on the sole, supposed to help for the adjustment, show their limits offering few information in the end. A precise measure of the positioning is advised for a perfect positioning. Once you’ve finished that, finally, you can put your feet in their new cocoon. Once the foot in the shoe, we press the wheel (now hexagonal for a better grip) of the Boa to trigger it and we turn! To tighten, on the two shoes, you have to push forwards with the thumb. It means that on the left shoe, the system is reversed compared to the conventional side so that it’s easier to adjust it when we ride. Good thing! The tightening progressively continues and we don’t feel any pressure point which could disturb the comfort. Even if we tight too much, the foot is compressed but without any pain. If unfortunately you have tightened your shoe too much, the time when you had to loosen before tightening again is over. 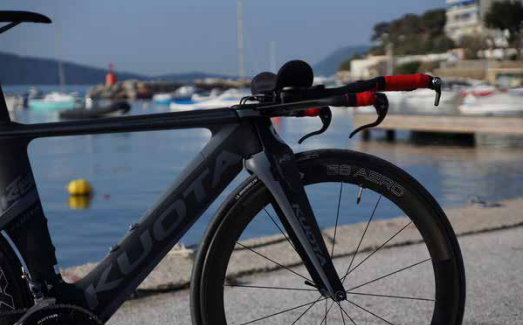 Now, the system Boa allows to also loosen in a micro-metric way simply turning the wheel on the other side. Then the adjustment is simplified. However, to remove your foot, it is very quick, you draw on the wheel to disengage it, it is then enough to take your shoe off. The second tightening is made in the front of the foot with a reinforced strip of velcro that you rarely manipulate, almost never, once you have adjusted it the first time. In the end, the system Boa is lighter and much easier to use than a pawl system and more precise and securing than a strip of velcro closure. The R3B are immediately comfortable, they it perfectly fit the foot and the tightening allows to block it perfectly without any pressure point. The sculpted sole and the support of the heel allows to keep the foot firmly attached without any heating or crushing. 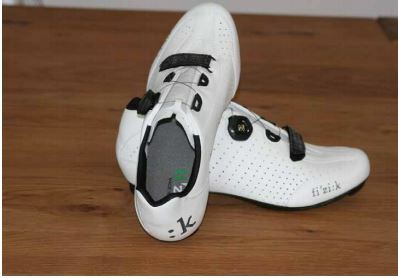 The firmness of the heel allows to keep everything in place when we begin to force the pedals but the rest remains very comfortable thanks to a good padding and the small additional thickness below the sole in the holds also allows to avoid too much discomfort. The perforations don’t let as much air go through than a mesh, but they almost cover all the foot except the toes and the heel. 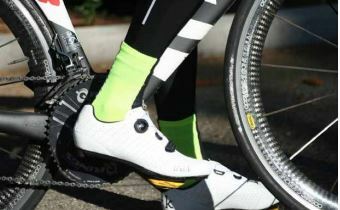 The breathing tab also helps to keep a fresh and dry foot even in warmer conditions. What else in the range? The models R3B, R4B and R5B also exist for the female, «Donna», with the same technologies. 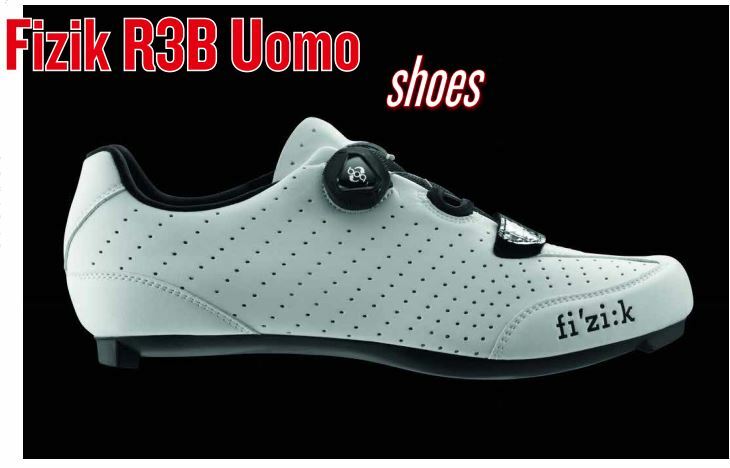 The Fizik R3B Uomo adopts the best solutions of the moment, which makes them excellent shoes, sober and with a perfect finishing. 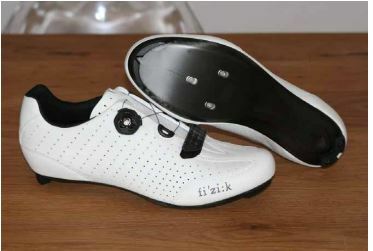 The use of the last Boa system IP1 has allowed Fizik to offer lighter, more comfortable and thus faster shoes. 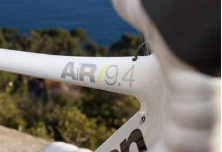 The unidirectional carbon sole of the R3B directly contributes to the rigidity of the latter, which helps the transmission of the power of pedaling, but also of the weight. The only question which could subsist is about the difference of price of 100€ compared to the model R5B for a gain of performance maybe not as high. But from a certain level of range, the improvements are expensive, this one on the sole is in nylon reinforced with carbon on the R5B and it can be more flexible. 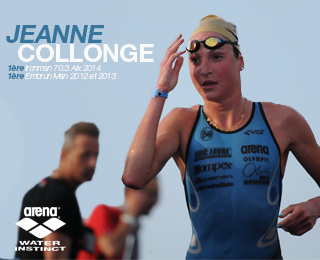 For the practice of triathlon, they could have limits on short distances where the precious time of transition doesn’t always allow you to correctly dry your feet or calmly put on your shoes, very often fixed to the pedals. However, if you are more oriented long distance or with an approach less «fast and furious», the Fizik R3B Uomo will perfectly suits you!